Ayla's, nonino, Sway's, ToRiCo and Zacca! 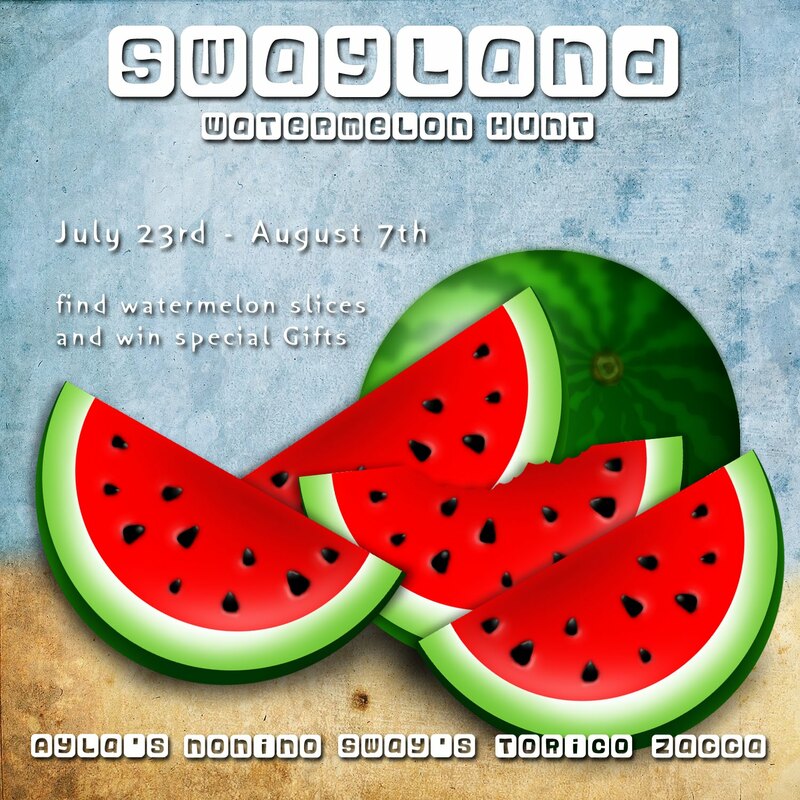 • All over the SwayLand Sim we've hidden Watermelon slices. Find the Watermelon slices, touch them and you will get a NC. shop you found the Password,then follow the instructions. A delicious hunt! I love the sim landscape and atmosphere! Awesome job!